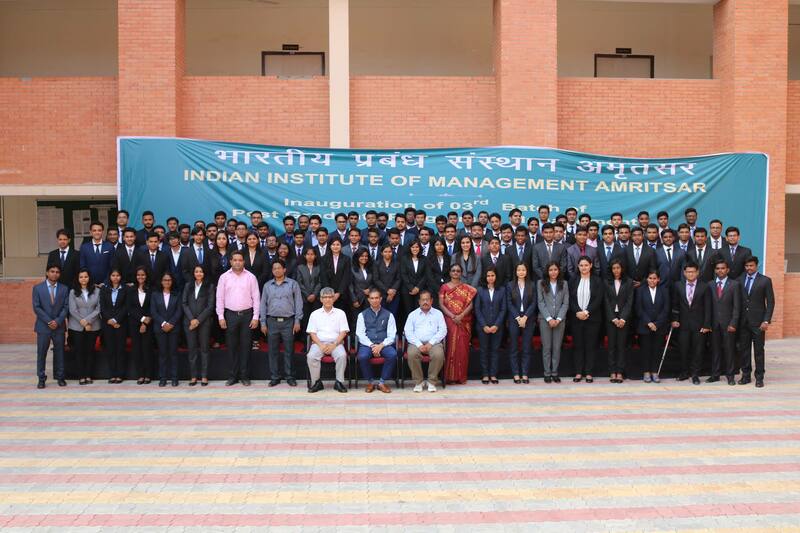 It was indeed an insightful evening as students of IIM Amritsar interacted with Mr. Anil Kumar Katakam, COO, Innominds on 19th of November. The topics discussed ranged from professional relationships to entrepreneurship and even survival. The session commenced with Mr. Katakam sharing his life experiences in the form of stories and then deriving a lesson out of them. He asked students to never run away from problems and to pick the chances whenever the opportunity comes up. Taking the discussion in the direction of professional relationships, the guest advised the students to always look out for potential partners. He further added that partnerships work best when the ones involved have complementary skills as he explained about limited choices and leadership in business. Mr. Katakam also emphasized the importance of knowing exit options when going in for a business venture. To add to it he said that one always has access to resources; the success depends on how one marshals them. Explaining about the dynamic nature of the corporate world, the guest then urged students to keep their senses open to new experiences and to understand that it’s the customer that drives the business. Moreover, he said that surviving in the industry is never a one man’s show; it’s always a team effort. Adding more to the volatility of the corporate, he said that one has to keep on calibrating their goal(s). As the session moved towards end Mr. Katakam asked the students to not fear failure, but to face it; as he concluded the session with one inspiring line “If YOU can survive, only then your dreams can survive”.